Enterprise Architect's MDG Technology for BABOK Guide v3 includes a number of BABOK specific diagram types. These include some pre-defined Patterns for you to use as 'Stencils' when building your model. 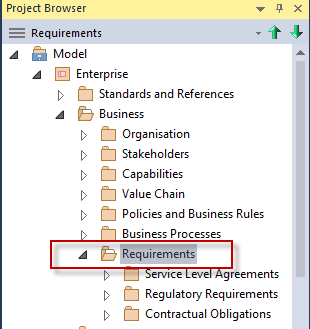 The following steps will guide you through creating a BABOK requirements diagram and using a Pattern as a starter stencil for your requirement model. Select a Package in your Project Browser. Select Add Diagram from the context menu. Select BABOK in the Select From column. 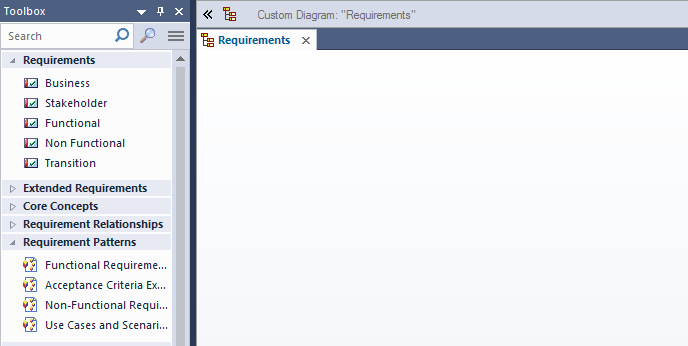 Select Requirements in the Diagram Type column. This creates a blank diagram with the Toolbox set for Element-types ready for you to create your diagram. 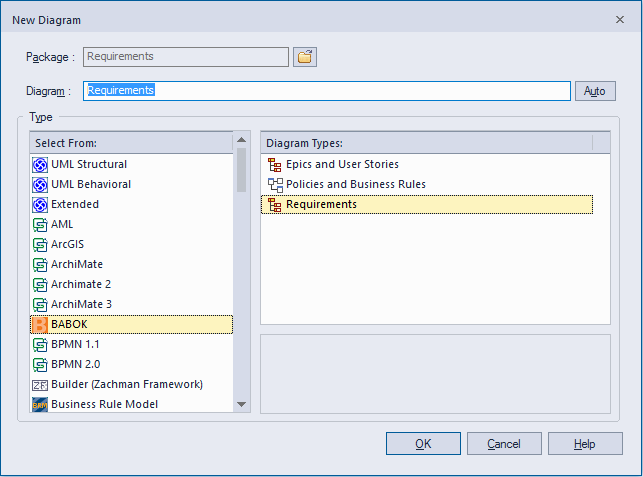 To create a simple starter example drag a Requirement Pattern onto the diagram. This creates a simple starter pattern of Requirements. 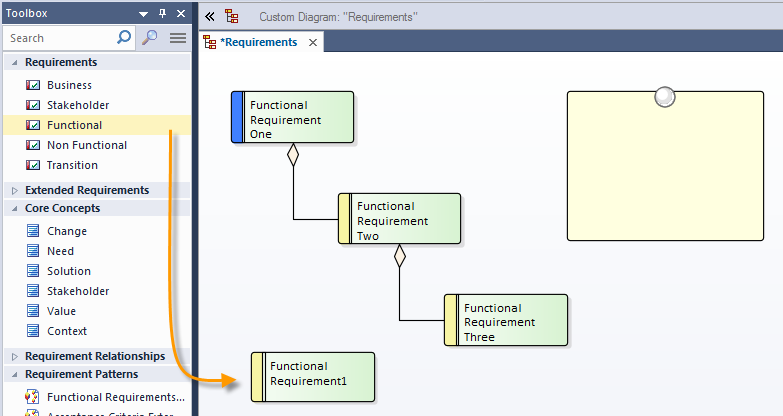 You can now drag a Requirement-type on to the diagram, for example a Requirement of type Functional. From the Design Ribbon select Specification View. You can now start quickly add to each Requirement any textual details, as well quickly creating new Requirement elements.